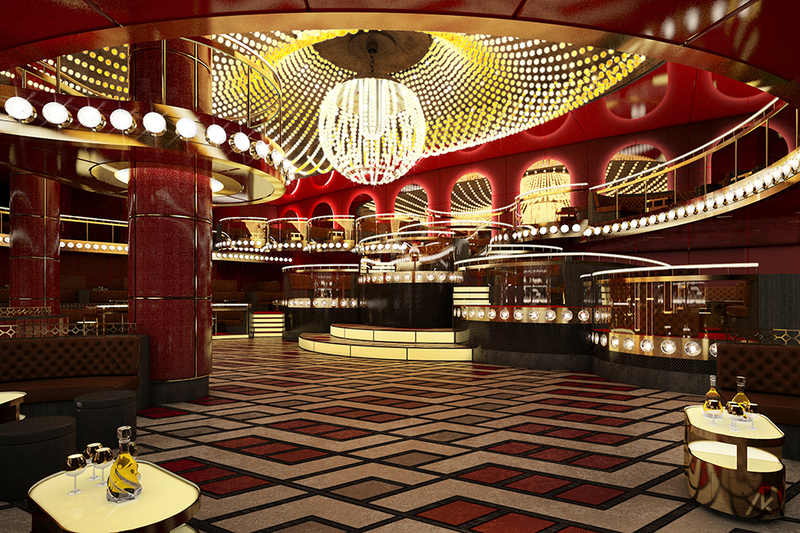 This image was used to pitch a possible design for the renovation of the Haze nightclub located in the Aria Hotel and Casino. 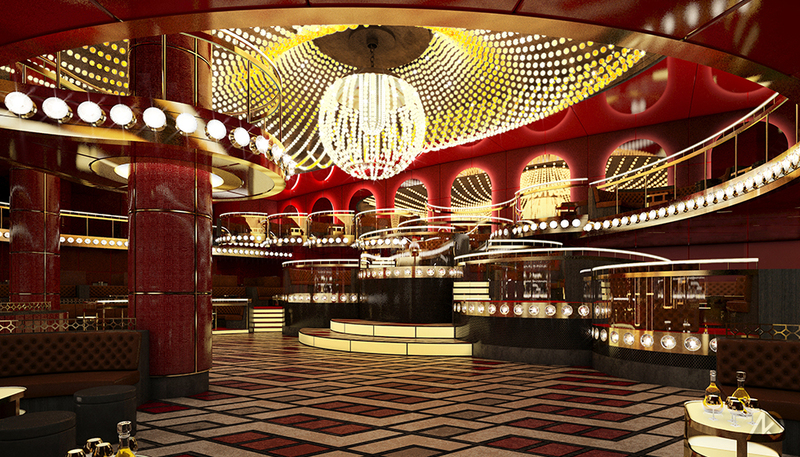 The original Haze was designed by ICRAVE as well, so this re-design would help to update and modernize the club. The image tries to showcase the cascading floor levels and their relationship to the large, movable chandelier above the dance floor. The image was designed and design directed by ICRAVE. All items in the scene (except for the whiskey bottles) were modeled, textured, and lit by kk. The view from the main dance floor shows the cascading mezzanine floor above, which forms small pods of banquette seating along the rear wall. These pods also create spaces for the dj booth, which can move so it is not always central or in the same place. Another large feature is the chandelier above, which can be raised and lowered during live performances.